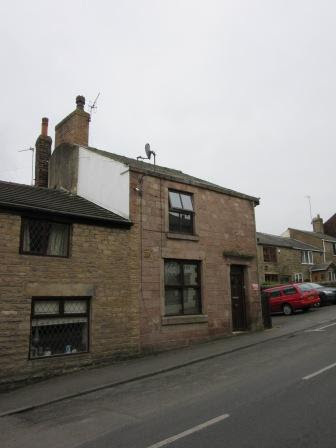 The Bull's Head has long since ceased to exist as a beer house and is now a private dwelling. 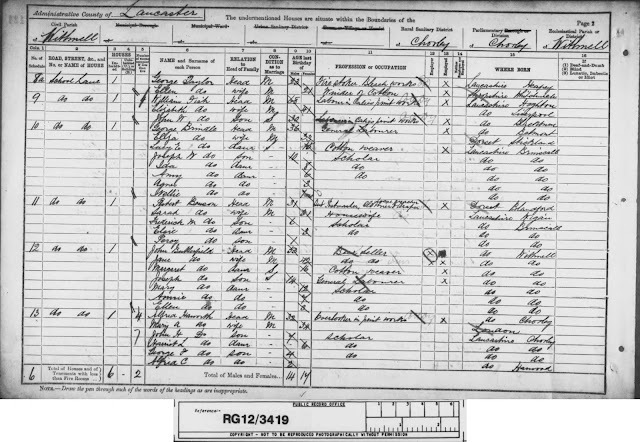 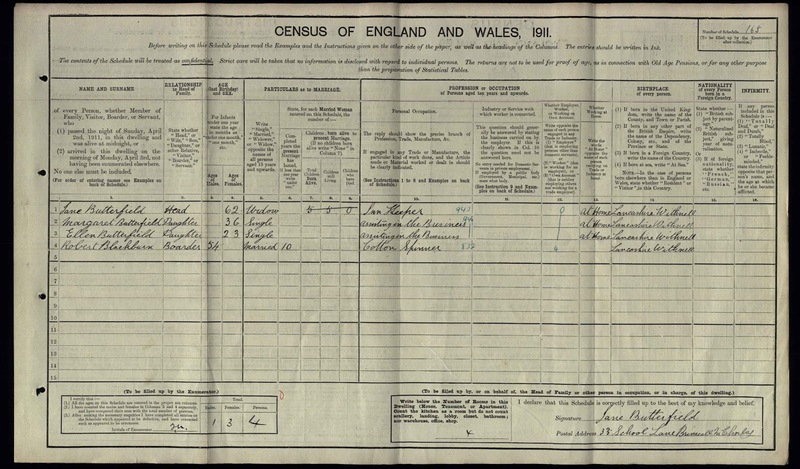 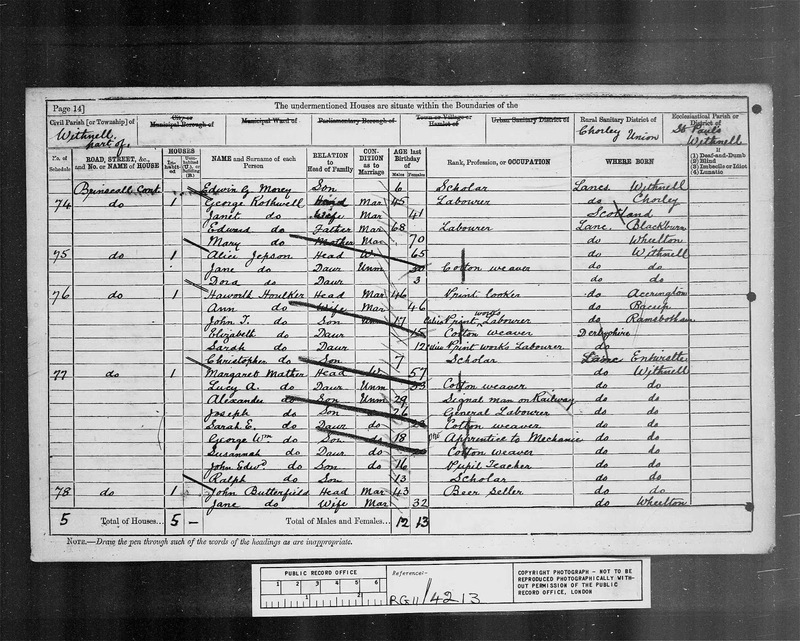 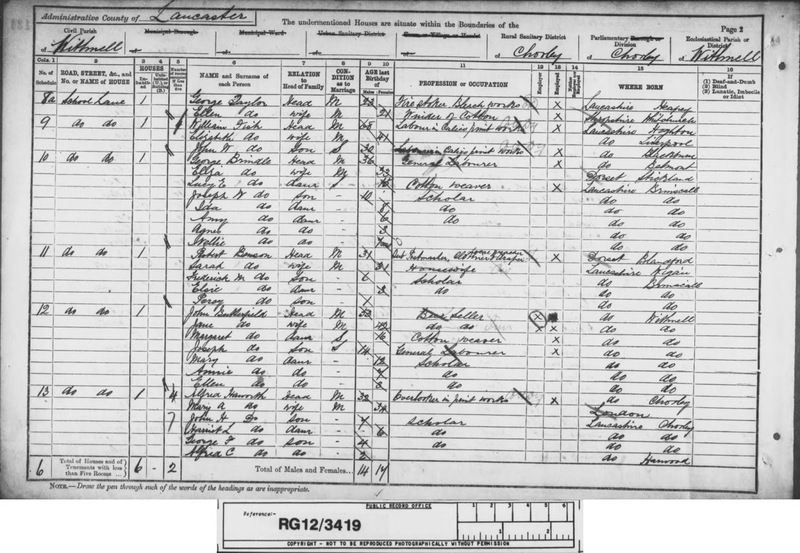 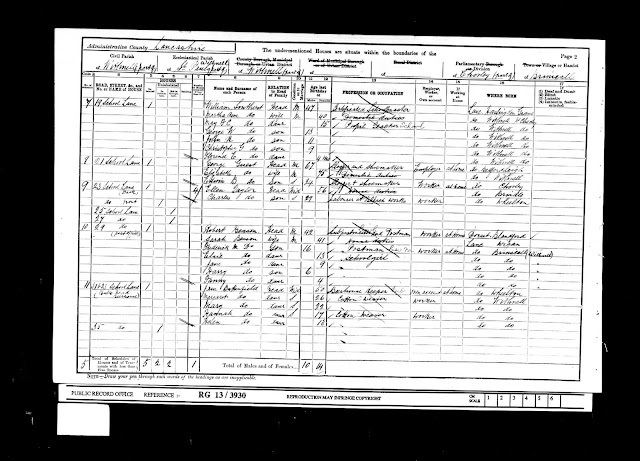 It first appeared on census records in 1871 and was very much a family affair; the listed landlords were John Butterfield (1881-93) and later, his widow Jane Butterfield (1893-1919). 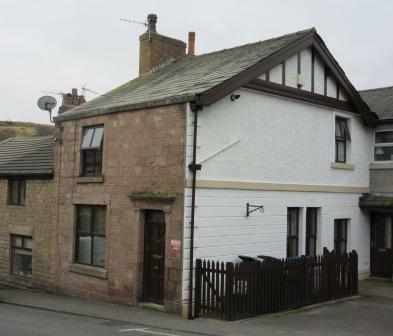 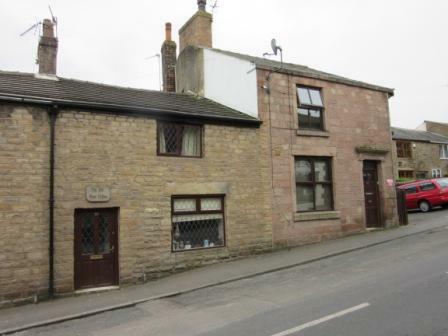 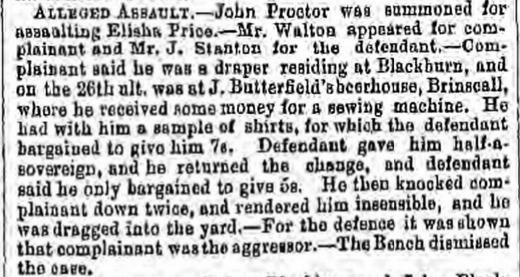 John Butterfield was the son of Joseph and Mary Butterfield and grew up on School Lane, Brinscall probably in the same house that he later ran as the Bull's Head. 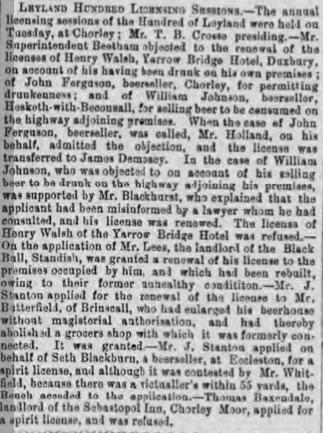 His father was a tailor and he too followed in that trade as a teenager and into his 20's before turning to beerhouse keeping. 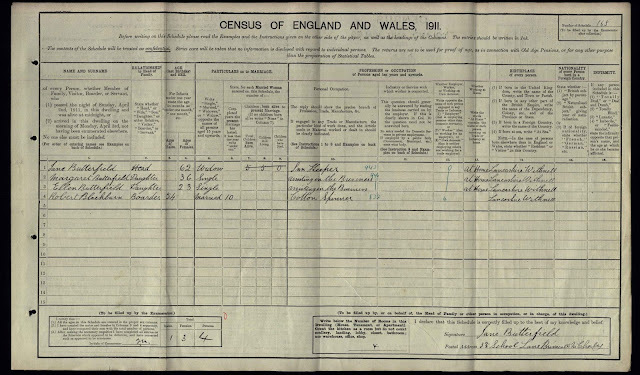 The 1901 census record for Jane Butterfield confirms the location of the Bull's Head was adjacent to the Post Office on School Lane. 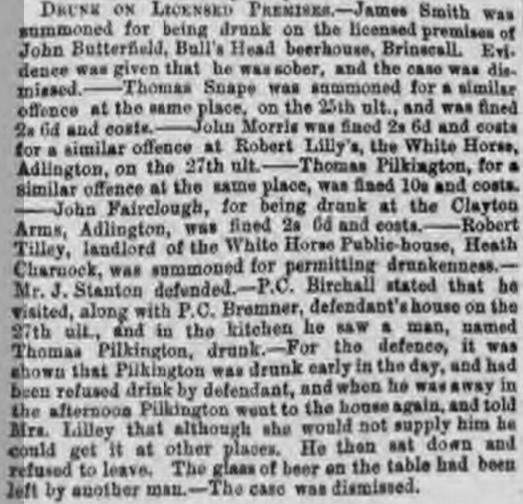 As well as running a beerhouse John Butterfield was also listed on local directories as a brewer and played the organ at the local church.